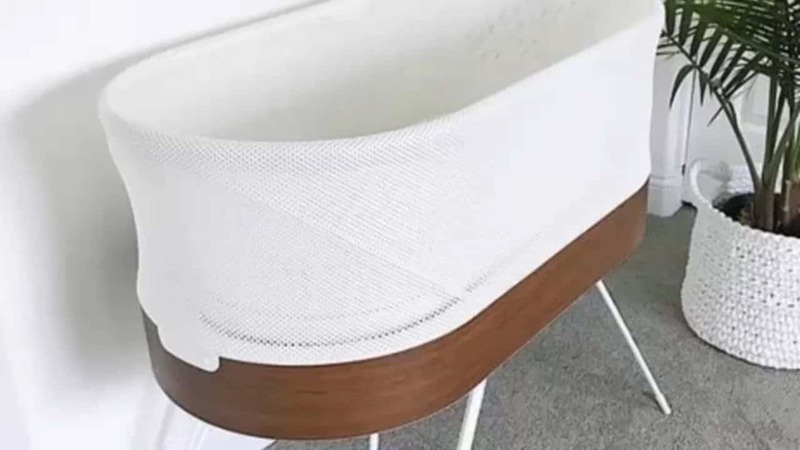 When you hear from all the raving parents about “The SNOO,” they are usually talking about the SNOO Smart Sleeper, an advanced smart basinet that helps soothe babies to sleep with motion and sound. A question I’ve been getting more and more lately is whether EMF radiation should be a concern when it comes to the SNOO. This is a completely reasonable question, as we already know that children are significantly more vulnerable to the dangers of EMF radiation due to their thinner skulls, developing brains, chemical makeup, and more. I won’t go too in-depth about this, because I cover it extensively in this post. 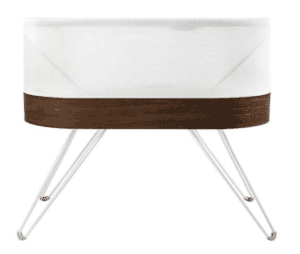 So, in this short post, I want to do what I can to talk about the SNOO, specifically about the safety of the bassinet in terms of radiation exposure. Does The SNOO Emit EMF Radiation? Yes, but let me explain. Any kind of wirelessly connected device or technology is going to emit a form of EMF radiation called Radio Frequency Radiation. Exposure to this type radiation has consistently shown to cause biological damage. However, I really appreciate some of the things that the SNOO has done to negate the potentially harmful effects of EMF radiation from their bassinet. Many devices intended for use by children, or in nurseries, don’t even acknowledge these concerns. Devices like video baby monitors, smart socks for babies, and more can be dangerous, and many companies do not even talk about or report these potential dangers. Dr. David Karp, the renowned pediatrician who created the SNOO, took this into consideration when he developed the device. So, although the SNOO basinet can be controlled remotely via the paired smartphone app, they did some pretty cool things to virtually eliminate any EMF radiation exposure to your baby. So, let’s talk a little bit about what makes the SNOO a safer device than many on the market. First, a quick disclaimer though. I have not personally used or tested the SNOO, although I would love to if I could afford it (it wasn’t really around when my daughter was born.) All that I talk about in this article is based off of my own research, chats with SNOO customer support, and opinion. I can assure you, that as a father of a young girl, and a leader in the field of EMF radiation, I take this stuff seriously! How Does The SNOO Protect Against EMF Radiation Exposure? So, there are a couple of things to get from this. First of all, the radiation exposure from the device itself is minimal. A member of the SNOO Customer care team said that the Wi-Fi SAR (specific absorption rate) from the device has been tested and shown to meet or exceed FCC guidelines. If you want to read more about what SAR is, check out this post I wrote. So, we know that the device does emit at least some RF radiation, but that it is minimal, and below FCC requirements (which alone isn’t impressive, since there is a growing body of scientists and researchers who feel these guidelines are not adequate to protect the public). I think the more important thing though, is the integrated metal shield that blocks what radiation the device does emit. If you’ve read many of my reviews or looked at my recommended products page, you’ve probably seen some of the quality products on the market that accomplish something similar. For example, DefenderShield’s laptop shield that I talk about in this post, is essentially the same thing, a sheet of material FCC tested to block nearly 100 percent of EMF radiation. This does not absorb or neutralizer the radiation, but simply puts a physical barrier between the person (or baby) and the source of the radiation. If you look at the image of the SNOO above, imagine that all of the electronics are in the lower portion of the wooden part, and that the metal sheet blocking the radiation is at the top, separating your baby from any radiation. Finally, the designers of the product thought to built in a simple way to disconnect the device from Wi-Fi. This will disable your ability to control the device from your smartphone app temporarily, but gives you another way to lower the radiation exposure. You can do this by depressing the smaller of the two buttons on the bottom. Dr. David Karp, the creator of the product specifically answered this question when asked by a parent, hear his response in the video below. He also sums up the points I made above, so it’s worth a quick watch. I usually err on the side of not using any kind of EMF emitting or Wi-Fi connected devices around children. However, I have to say that I am truly impressed with the amount of effort and true concern that SNOO put into making their device. The multiple safety mechanisms, paired with the low baseline EMF from the device itself lead me to conclude that this is a perfect safe device when it comes to WiFi exposure. I truly hope you found this article helpful, if you did, please consider sharing to help get the word out! If you have any questions, please leave them below!